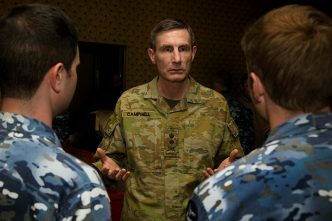 The key to a highly capable defence force is the people who serve in it, says ADF chief Angus Campbell. 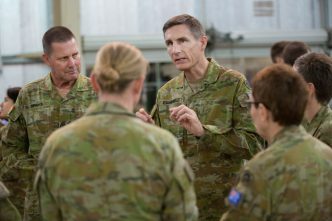 General Campbell, who has long stressed the importance of increasing the number of women in the military, says that to be sure of getting the best Australia can offer, its personnel must come from every part of society. 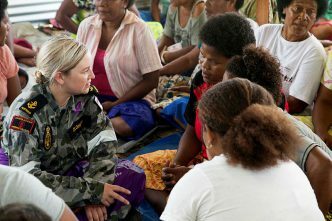 At present, about 22% of the personnel in the Royal Australian Navy and the Royal Australian Air Force are women and just under 14% of the Australian Army’s soldiers are women. The picture is changing, though. Around 20% of those recruited for the army, and 30% to 40% of those joining the RAN and the RAAF, are women. On the sort of operations the army has been involved in for decades, it was often difficult for male soldiers to talk to local women. ‘There are too many examples of circumstances where the only people you can talk to in a village are the men because the only people you have in your force are men’, Campbell says. Campbell says each person, male or female, who join the infantry must volunteer and pass the tests for infantry service, just like for all other categories of service in the ADF. 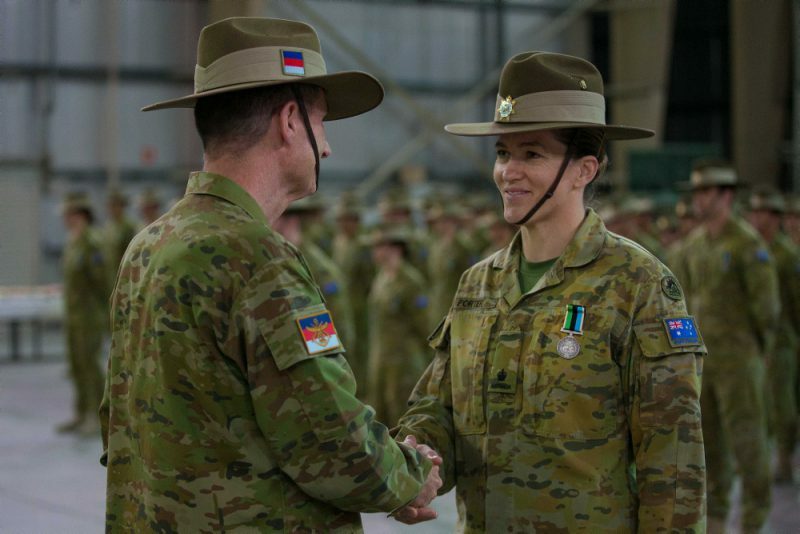 The number of Australian women wanting to join the infantry is, not surprisingly, much lower than the number of men—about 1% of the infantry force. That proportion is similar to the United Kingdom and Canada but slightly lower than the United States. 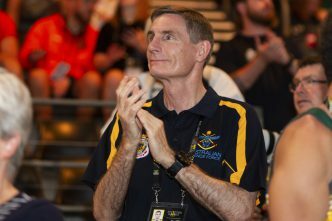 Campbell joined the army in 1981, so how has the ADF changed since then? ‘If you go to our recruit training units and our officer training units across the services, you see today a reflection of multicultural Australia. You saw at the time of my entry into the defence force, a reflection of Australia of that moment: less multicultural, but starting the journey. ‘In terms of materiel, while we are roughly the same size in terms of ships, planes and infantry battalions, the quality and the lethality of those platforms and the capabilities of a connected organisation are profoundly more effective, lethal and aware of the environment in which they’re operating and able to take effect in that environment. ‘Whether you are in an aircraft or on a ship, or you’re in an army unit, you have access either directly or through communication networks to some of the most lethal weapons system that our defence force has ever employed, and access more broadly in a wider coalition sense to some of the most extraordinary capabilities ever developed. 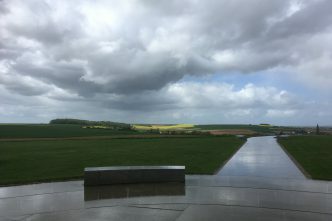 ‘And the important part is to have a very, very high-quality training and development system that connects these bright, enthusiastic young people and these incredibly powerful systems together in a disciplined militarily trained and discriminating force that understands when to use lethal force and when to choose rightly not to. Brendan Nicholson is defence editor of The Strategist. A version of this interview was published in The Weekend Australian. Image courtesy of the Department of Defence.